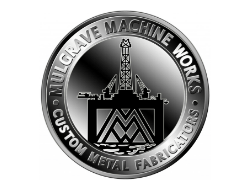 Mulgrave Machine Works (MMW) is an established metal fabricator and manufacturer with a reputation of delivering custom metal fabricated projects on-time and on-budget. Located in Mulgrave, Nova Scotia, Canada, MMW has proudly serviced various industries including the onshore/offshore oil and gas, light/heavy industrial, and marine sectors across the globe since 1969. They offer quality fabrication of all types of plate and structural steel, tanks, pressure vessels, piping and downhole tubular/connector welding. Over the years the company has diversified in the types of products offered, including low carbon and HSLA steels, stainless steels, Hastelloy®, alloy 625, Titanium, aluminum, and more. They’re proud of their local community, and are one of the area’s larger employers. Trust their more than 45 years of experience satisfying customer demands with the team who go the extra mile for you.